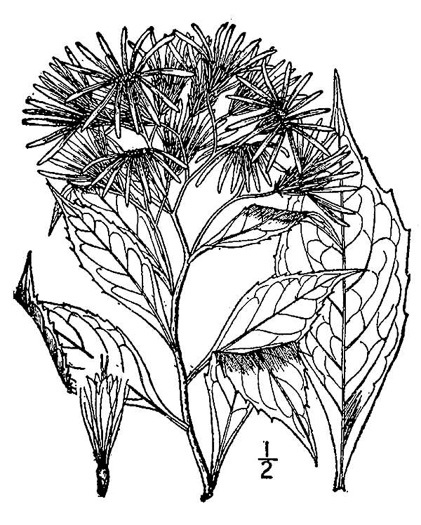 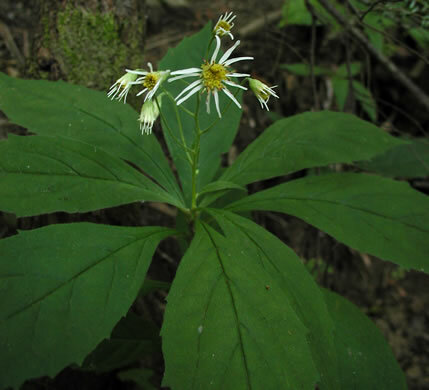 Flower heads nodding at first, erect in flower, per Vascular Flora of the Carolinas. 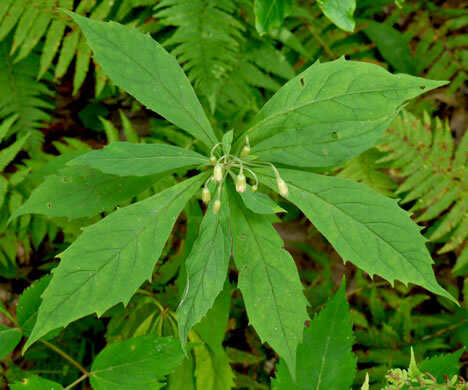 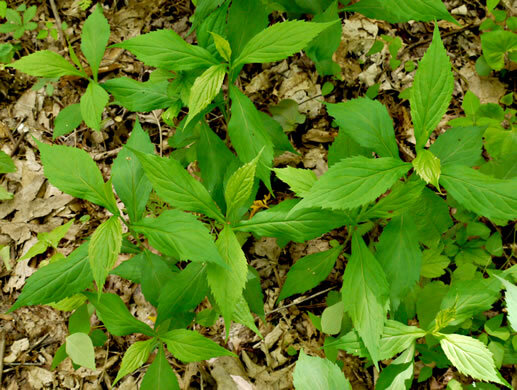 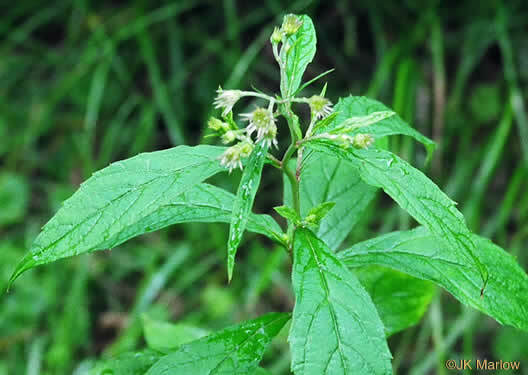 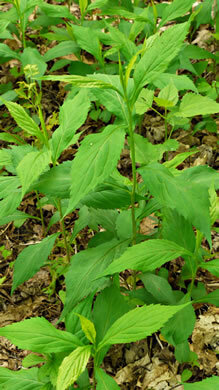 Leaves elliptic, coarsely toothed, long-pointed, and tapered at the base, per Wildflowers of the Southern Mountains. 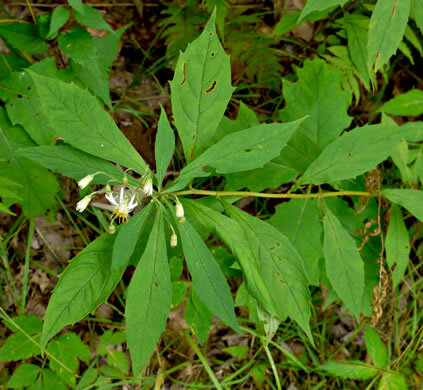 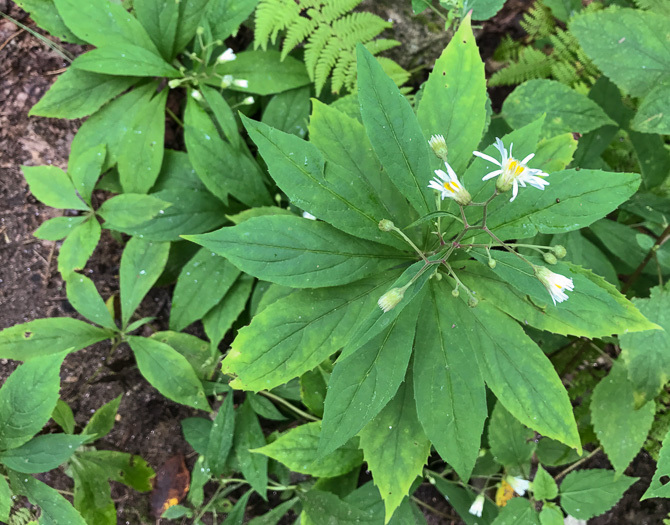 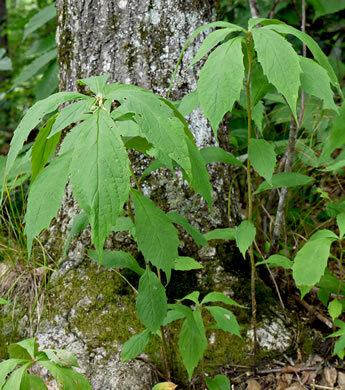 Largest leaves crowded on upper stem, forming what may appear to be a whorl, per Wildflowers of the Southern Mountains.